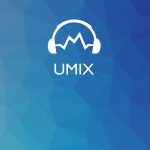 UMix aims at lowering the learning barrier by providing innovative technical solutions as well as a knowledge-exchange platform to create a community for sharing and learning. The ultimate goal is to transform the current digital music production industry such that everyone can learn and produce music more easily and smoothly, disregarding age, background and music preferences.Our project objective is to lower the learning barrier of digital music production by providing innovative technical solutions, as well as a knowledge-exchange platform (like Stack Overview for IT) to create a community for sharing and learning. ECHOES: There are countless electronic games nowadays, but most of them are strongly dependent on graphics and visual communication. Those interfaces are usually not compatible nor user friendly to visually impaired person. Since auditory and tactile sensations are the main medium for them to access the surrounding and different information, an audio based interactive game with specific user interface and experience designed for the target user would be created and delivered at the end. Find It is a platform to help pet owners to find their lost pet and share information. It makes use of Firebase and BLE. All users will upload the surrounding Bluetooth signal to Firebase. Firebase function will search the lost pet BLE signal from this big data and help the pet owner to find the lost pet.